The sixth book from critically-acclaimed author John Green Turtles All The Way Down follows sixteen year old Aza Holmes as she and her best friend pursue the mystery of a disappearing billionaire. Or at least, that is the information you will gather from reading the blurb. However, what Turtles All The Way Down offers is something far more than two teenagers looking for a fugitive – it delves into the intricacies of anxiety and obsessive compulsive disorder and just how difficult they can make life. Green is well-known for crafting stories with immense emotional depth, as 2012’s The Fault in Our Stars illustrated. However, in Stars and other Green books, when things got dark there was a comedic release to soften it. The same is not to be found in Turtles All The Way Down. When Aza is at her worst, the reader gets caught in this descent too and experiences it with her. Around Aza are a cast of incredibly articulate teenagers that flesh out her world. In comparison to the subdued and introverted protagonist, her best friend Daisy is classically loud and tends to completely blow things out of proportion. The contrast between the two is explored throughout the book, with a climactic argument coming towards the end that results in Aza’s OCD spiralling out of control to levels that make it almost difficult to read. 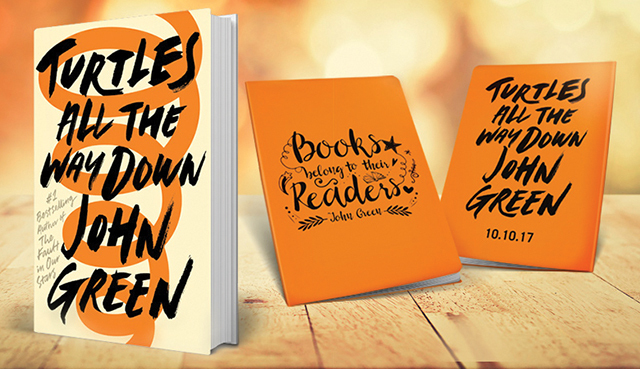 Turtles All The Way Down explores loss and bereavement in a way that only John Green can. All the characters have their own struggles and tribulations to endure during the course of the novel, but it’s how these issues interact with each other that really sets Turtles apart from other YA novels. The son of the fugitive billionaire, Davis, is an intelligent boy who is utterly fixated with astronomy. Upon Aza and Davis meeting for the first time since they were children, an immediate attraction grows. While Aza enjoys texting Davis, her OCD causes her to struggle with physical contact due to her overwhelming fear of bacteria and the chances of her contracting clostridium difficile. At times, it can be difficult to read as Aza’s OCD causes her to spiral into irrationalities; all things that she is very much aware of. Aza’s OCD taints what should be memorable experiences of her youth with a dialogue that is intent on destroying her and when reading, you really feel for Aza. A culmination of plot-lines comes in the closing chapters of the book when Aza and Daisy make a discovery that directly affects Davis and his younger brother, Noah. The stretches spent inside Aza’s head as she wars within herself can be a troubling read, especially seen as the rational side of her attends a therapist and takes medication. There is an inescapable war raging within her head and how she deals with it (or doesn’t, in some cases) is something that manages to be very dark and unexpected in a young adult novel such as this.